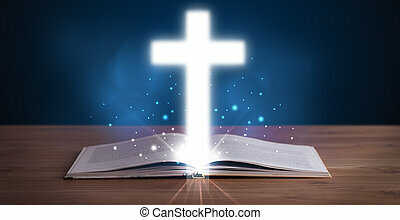 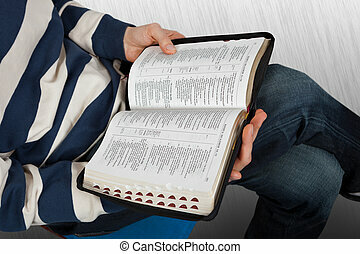 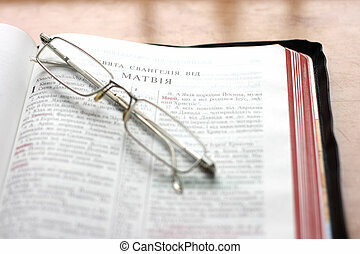 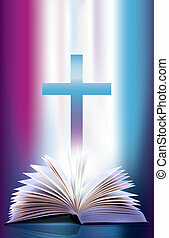 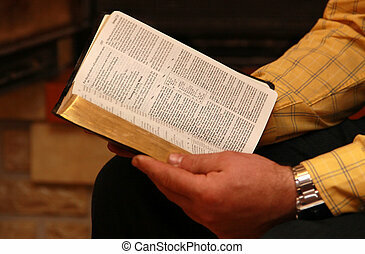 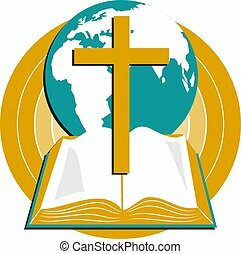 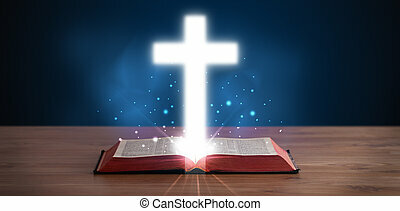 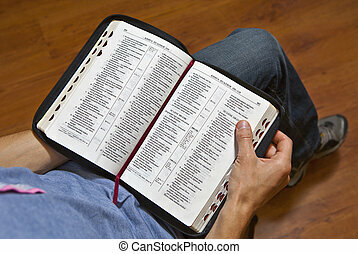 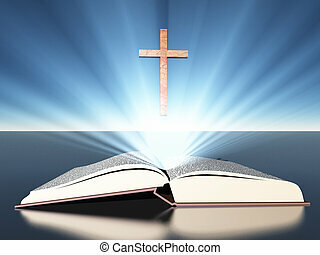 Open bible with man and cross. 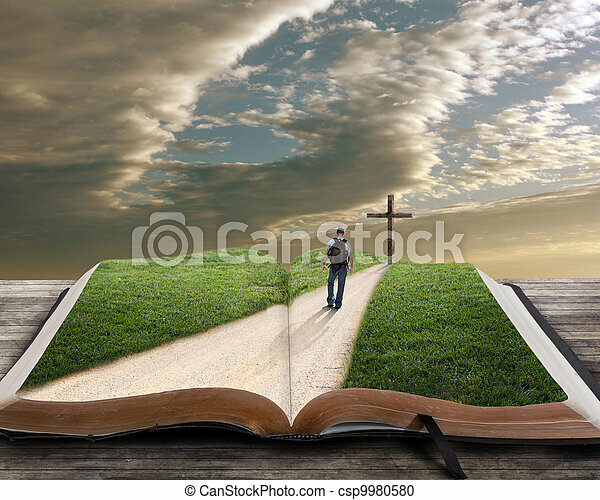 An open bible with grass and a man walking towards a cross. 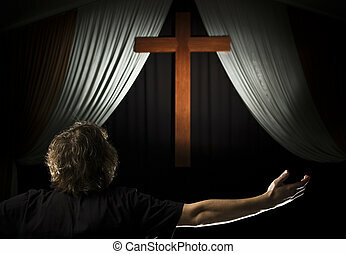 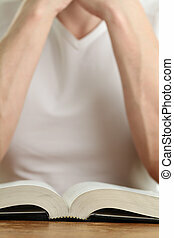 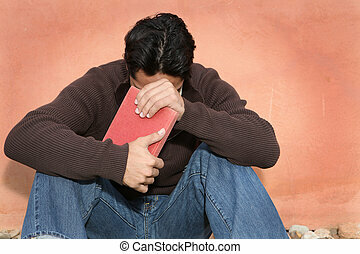 A stock photo of a young man praying with open arms before a cross. 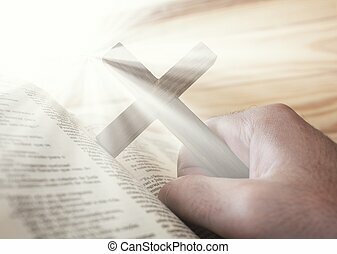 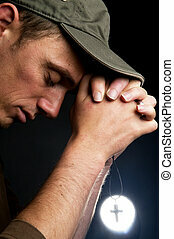 Praying man holding a cross in front of a bright light.